"This is going to hurt" I thought to myself barely a few minutes into the race. Already soaked by the rain, my heart was pumping having just leapt over a stack of haybales. With 23kms of running and 34 obstacles to negotiate, I had to get my mind and body into the zone "come on legs, you know what to do". When I think of Fisherman's Friend, I will forever more think of the mental and physical toughness it takes to complete these events we do for fun. Plastered with mud, eager to see what obstacles lie ahead and your body continuously pumping, we put ourselves to the test for the glory and the sweet taste of well earned beer. It required determination and grit to be crowned a STRONGMAN. I loved it all. 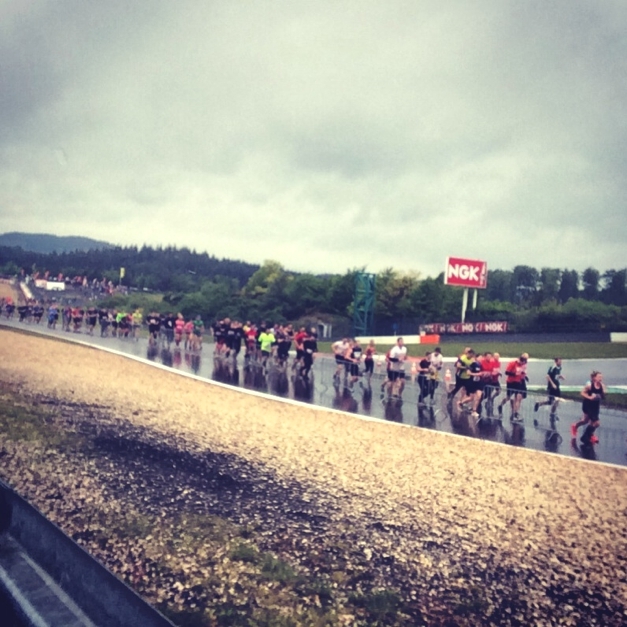 The Fisherman's Friend Strongman run takes places each year in May at the Nuremburg ring in Germany. 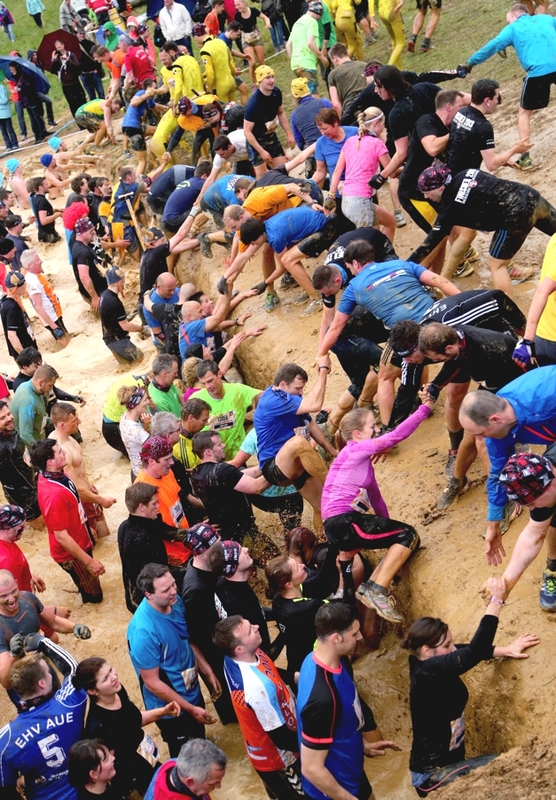 This year 12,000 people took part, making it the world's largest obstacle course. There were seven of us representing Team GB, my team mates were all inspirational fitness guru's in their own way. There was a buzz amongst us from the moment we met at the airport. Everyone talking about their passions, books they've written, businesses they've built, TV shows they've starred on or countries they've run across. I felt honoured to have been invited to join this team of fitness superstars. 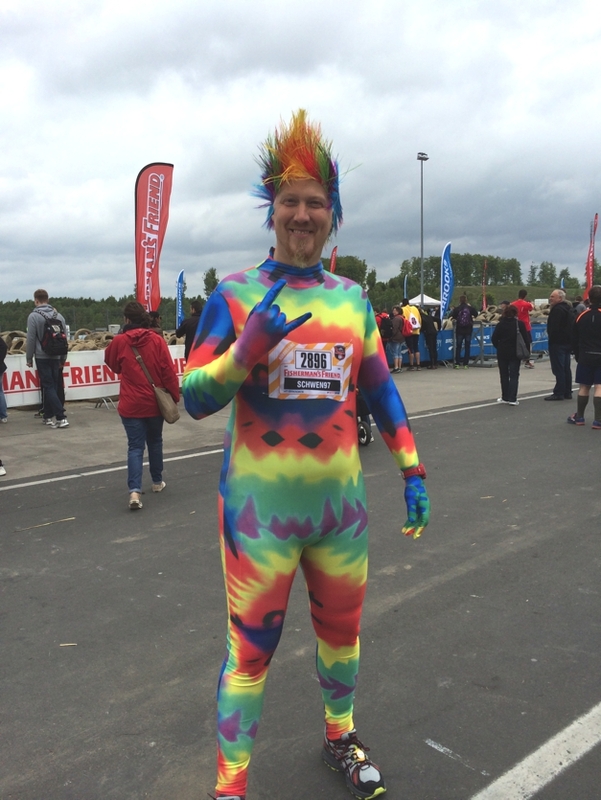 It was a rainy, grey day in Nuremburg last Saturday, but that didn't stop people turning up in their thousands dressed in a huge variety of weird and wonderful fancy dress costumes ready to become Strongman Finishers. The atmosphere at the start was electrifying! We danced, jumped around and generally were being silly soaking up the atmosphere and getting ready to rumble. The DJ was pumping out the tunes getting everyone fired up and raring to go. At 1pm, the fireworks went off and we were let out of the gates. Charging down the Nuremburg race track and leaping over haybales, I felt I like a horse in the Grand National. Our team immediately split up into smaller groups. I was happy to make this my own race but knowing that my team mates were there too meant we could suffer individually and share our war stories at the end. That's the best part right? Meeting up with your mates for the post race de-brief. 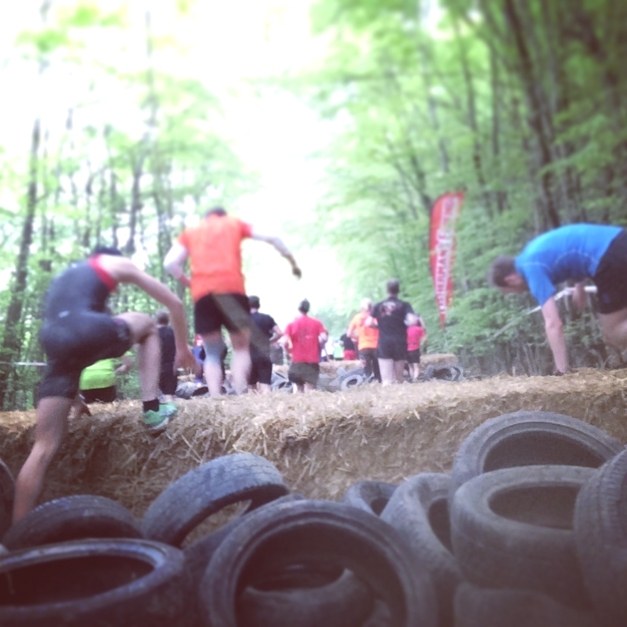 Haybales, metal shipping containers, tyre pits, muddy lakes, water slides, cargo nets, hills, electrical shocks - you name it, the Strongman run has it all! It's like a giant adult playground. 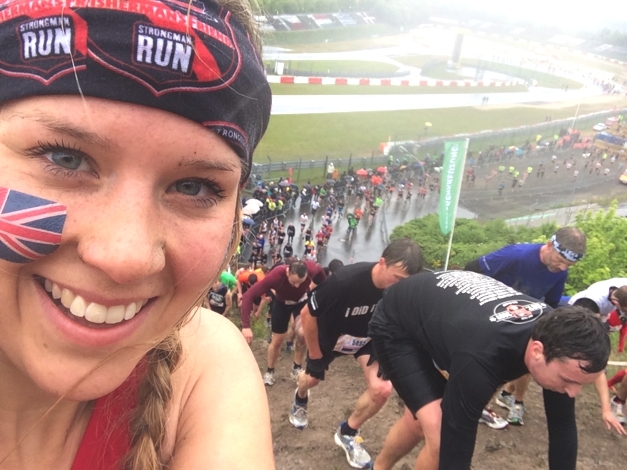 I've just become a Pionner for Lifedge which meant I could capture the entire event on my iPhone and keep my phone protected from water, mud and damage. Pretty fun being able to leap into muddy pools and down water slides knowing that my phone wouldn't get damaged. I love taking photos and videos, capturing the adventure as it unfolds and being able to share the experience with you so it was amazing to be able to get these shots. 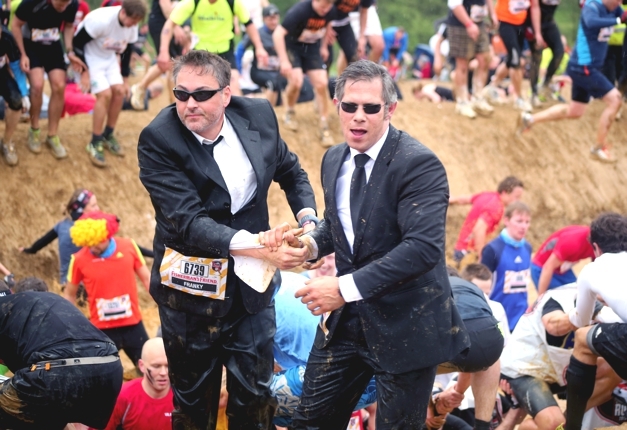 I'll let the photos do the talking and show you what the Fisherman's Friend Strongman run is all about. The second lap was tough. My legs, feet and joints were screaming at me by now. I was soaked through, my feet caked in mud and had no idea how long it would take me to finish. "Don't forget to smell the roses" I told myself, "Stay in the moment, live for it and ignore the pain". After 2 hours and 56 minutes I crossed the finish line. Wow, what a feeling! 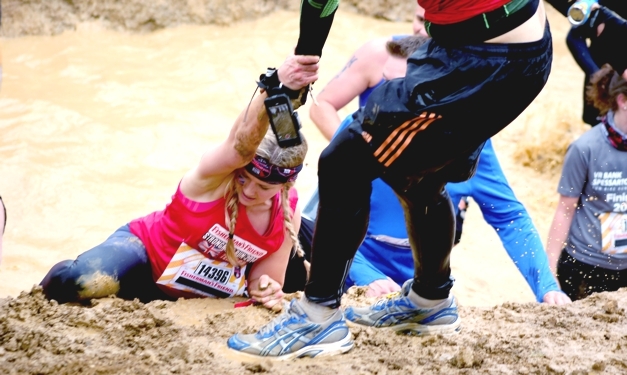 If you haven't tried obstacle racing, I can highly recommend it. I loved all the obstacles and the challenge of the event, but most of all it was the atmosphere, the look of grit, joy and pain on people's faces as we ran along. The fancy dress! The whole experience and the team aspect of it. Fisherman's Friend have Strongman events all over the summer in Europe if you're keen. What a memorable way to spend a weekend with your mates. After the race we drank beer, ate chips and sausages and generally had a lot of fun. As the rest of the team finished we congratulated them, helped them get warm and dry and thrust beers into their hands. Stu finished first in just over 2 hours, I was third with 2 hours 56 and Finn brought the day's racing to a close in around 5 hours. Great effort team! This really is a very unique phenomenon that seems to have taken the world by storm - obstacle racing on your weekends, now I understand why. Thank you Fisherman's Friend, I had a fabulous time and enjoyed every minute of the weekend.